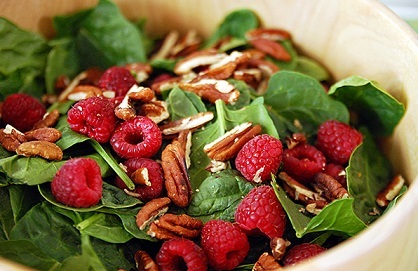 I call this a Christmas Salad because of the colors and simplicity of preparing a really wonderful treat on a special day, especially when you may be short on time. 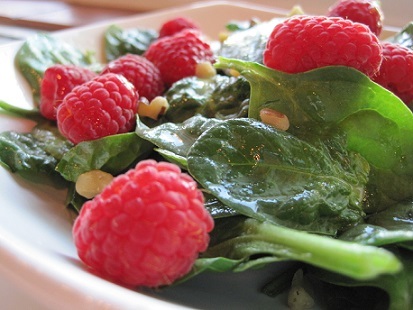 I think tender baby spinach is one of the best salad greens of all. Buy it prewashed and ready-to-use to save a lot of your time (it's worth it). 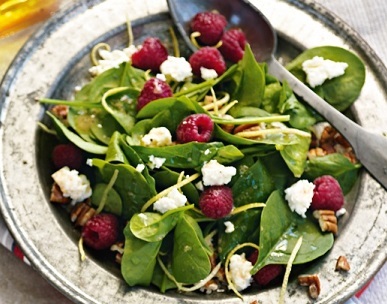 The Raspberry Vinaigrette Recipe (below) married with Gorgonzola cheese combine perfectly, enhancing one another and the spinach and walnuts, creating a simple - but delicious - salad. 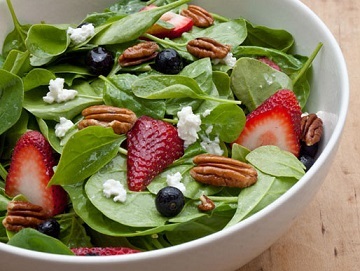 I also think this particular salad, although great with many entrees, is a perfect match with a steak, especially filet mignon or a Roast Tenderloin of Beef.